Another week done...and we actually were able to get alot done. Monday---We did schoolwork in the Morning. Joey wasn't feel well and was completely bouncing off the walls. Lydia is rocking her way through Reading Eggs. She has started reading very early level books with specific word families. And some help on her unknown site words. But we are playing a game we received called The Reading Game (watch for the review) to help out in that area. Then they drove daddy crazy all afternoon while I went to the specialist. Tuesday---We did schoolwork in the am and then Joey and Lydia and I had LEGO Builders Club. Our theme this month was Pirates. Then the boys had bowling. Brayden broke 100 for the first time in one game! He was super excited. Wednesday---Another long day of schoolwork activities. We were supposed to go on a field trip to the Art Museum, but I couldn't because of a pain attack. So we worked on Science. We studied the difference between animal and plant cells. Then they enjoyed eating their cells. Thursday---Workboxes packed again and ready to go. I marked a page for him to choose an item off of. This was a huge..HUGE hit. With all the kids!! Lydia worked on another chapter in a Girl Scout book. Here she is working on her origami cat. Our next Girl Scout meeting is going to have the topic of Using our Resources Wisely. So for our project to learn more about our resources and carbon footprint, we are watching food rot. We mixed soil with food scraps (that were going bad) along with some plastic wrappers. We layered them in a two liter bottle and will be watching them for the next month to see what decomposes and what does not. The kids picked up Crystal Growing kits at the Museum last week, and they started them tonight. Friday---Lydia and I had to take Grandma shopping. But we finished up our Penguin unit that we have been working on all week. The next area that her zoo class is studying is Artic/Antarctic regions. She chose to learn more about penguins. We also finished more quilt squares on our Felicity American Girl quilt. The girls had ballet and then Caty's Fall Festival. What a full week! I love your decompostion project--looking forward to seeing how it works out. What a fun and eventful week! 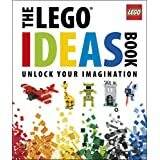 My kids would love that LEGO idea book! Love the tasty cellls too! I love your Fall background! Thank you for linking up to NOBH! Did you know that NOBH has been nominated for the Homeschool Blog Awards in the "Best Family/Group Blog". Go to the NOBH home page (http://noordinarybloghop.blogspot.com/ ) to find out how you can vote for our hop if you feel lead to do so! Thanks! Tracy at "A Slice of Smith Life"